Dr. John Daly (Ph.D., Purdue University, 1977) is the Liddell Centennial Professor of Communication, University Distinguished Teaching Professor, and TCB Professor of Management. He has published more than one hundred articles and chapters in scholarly publications, and completed ten books. Dr. Daly's interests focus on practical ways of improving the communication skills of individuals. Thus, he has examined topics such as shyness, personality difference in communication, communication difficulties people experience in their personal and professional relationships, and ways people advocate for their ideas. 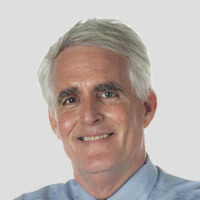 Daly has served as editor of Communication Education and co-editor of Written Communication, as well as a member of the editorial boards of ten different academic journals. He has also consulted with numerous organizations, both public and private, on communication issues. In recent years, he has worked with the White House on issues related to customer service and communication. Dr. Daly has been the winner of every campus-wide undergraduate teaching award. He was named a Fellow of the International Communication Association and a Distinguished Scholar by the National Communication Association in recognition of his scholarly work. He has taught classes in interpersonal communication, persuasion and attitude change, leadership, crisis management, and organizational behavior. Professionally, he has served on the Board of Directors of ICA, the International Customer Service Association, and the Administrative Council of the National Communication Association. He has served as President of the National Communication Association and Chair of the Council of Communication Societies.